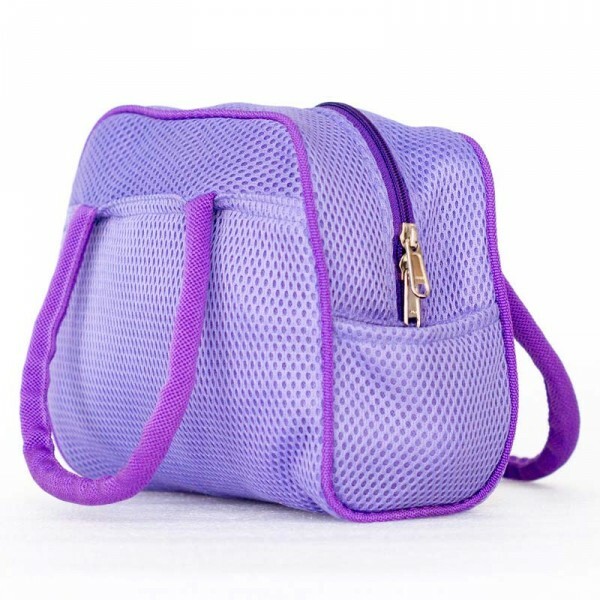 Stand out amongst the crowd with this sporty ladies golf ball bag – besides looking trendy, it can easily carry approximately 50 golf balls, tees and a hand towel. 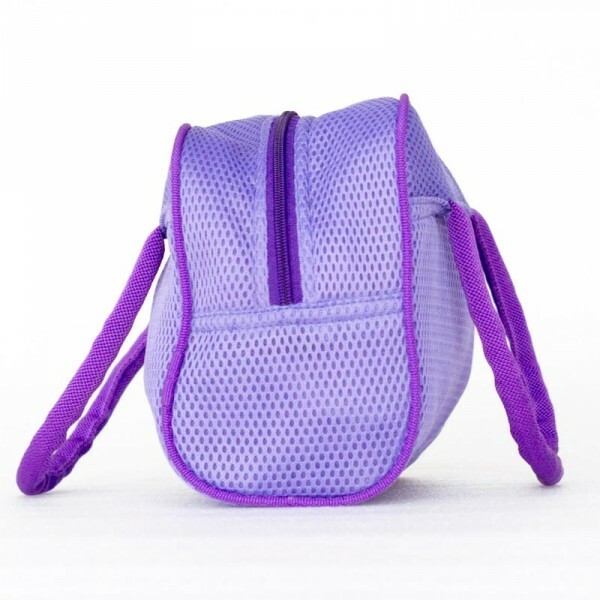 An inner zipped pocket holds tees. 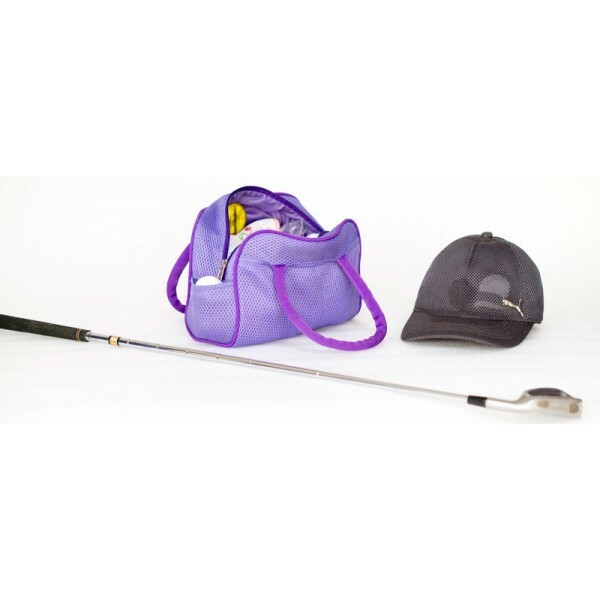 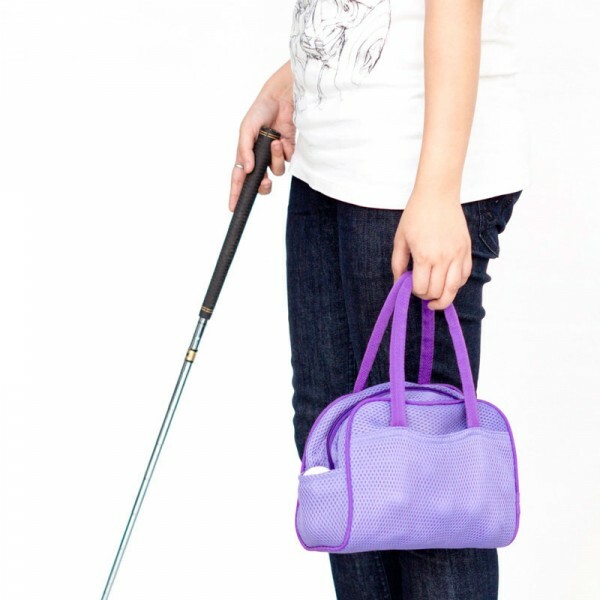 An outer Velcro-secured pocket carries a ball and tees within easy reach. Color choices include black, purple, pink and red. 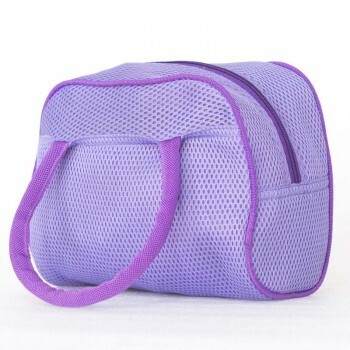 Zipped inner pocket for tees and other accessories. 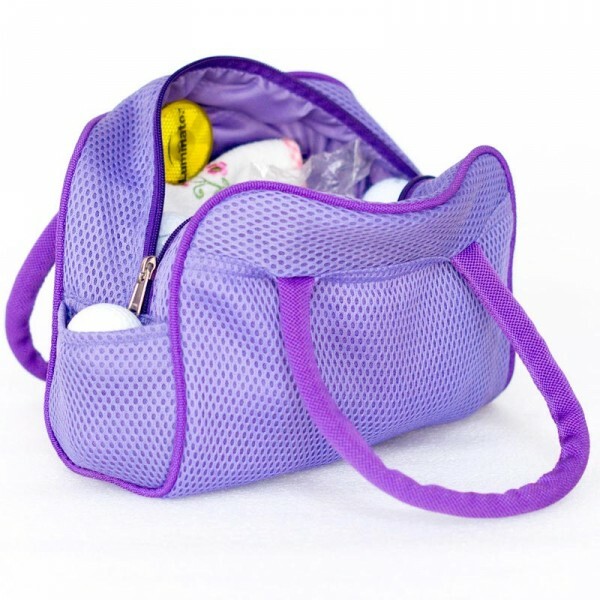 A small Velcro outer pocket carries a ball and tees within easy reach!